President Muhammadu Buhari says the country has gone through “very turbulent” times in the past three years of his administration. He said this on Monday while inaugurating the National Food Security Council at the presidential villa, Abuja. 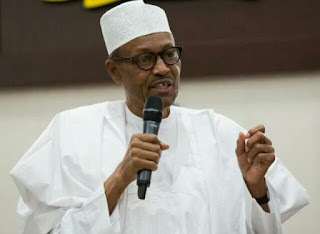 Buhari said the council would continuously assess and enhance the various social investment and agricultural programmes put in place by his administration to achieve their full potential. “We shall also develop new programmes and projects that will protect and indeed, create more jobs in farming, fisheries, animal husbandry and forestry,” he said. The president added that his administration introduced numerous programmes that would transform the lives of “millions of Nigerians”. He said: “We introduced the national social investment programmes targeting millions of Nigerians who are living from hand to mouth. We launched agricultural programmes focusing on import substitution, job creation and rural development thereby bringing socio-economic transformation to the millions of citizens living in some of the most remote rural parts of our country. “We commenced the long-term pollution remediation projects in the Niger Delta with the hope of restoring dignity and normalcy to the millions of Nigerians impacted by decades of pollution in their communities. W“e issued the first ever green bond that will act as a catalyst for investments in renewable energy and afforestation projects. This was oversubscribed, sharing market confidence in the country and our government.